Mr. Cunningham has thirteen years of engineering experience and has been involved in all aspects of project management and design for numerous types of projects for both commercial developers and residential home builders. He has provided engineering services, such as site design, construction cost estimates, feasibility studies, grading and drainage design, earthwork analysis, soil erosion and sediment control, stormwater management, utility design, and roadway layout for numerous projects throughout Pennsylvania and New Jersey. With a thorough understanding of required permits and approvals for land development, Mr. Cunningham has performed feasibility analysis to assist clients with selecting sites, estimating construction costs and understanding potential development issues. 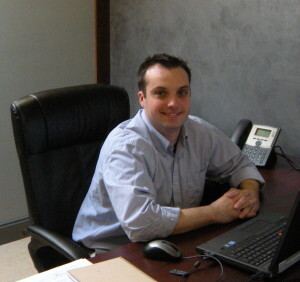 Mr. Cunningham is experienced in providing cost effective solutions to construction-related issues. He is also experienced in coordinating with contractors, government officials and clients in order to avoid costly construction delays. Mr. Cunningham has helped reduce construction costs, expedite approvals and increase project value by providing innovative engineering ideas to his clients. Mr. Cunningham has developed numerous hydrological and hydraulic designs for complex projects ranging from individual site stormwater management to large-scale regional drainage studies. He has provided engineering solutions to help alleviate flooding which can reduce insurance costs and create additional developable land. Mr. Cunningham is proficient in computer-based drafting and engineer software.